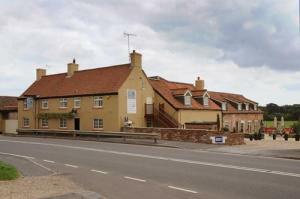 Choose from 24 hotels and guest houses in East Yorkshire. Shown below a just a selection of the hotels available. To search within an area please use the menu on the right. 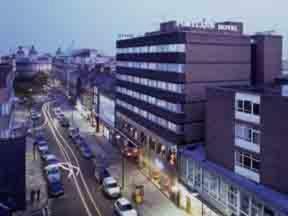 500 metres from the very heart of Hull city centre, the railway station and the new St. Stephen's shopping centre, this modern hotel offers climate-controlled, ventilation-cooled rooms. 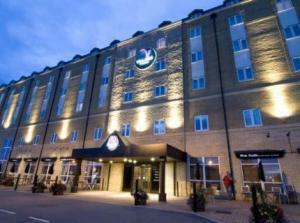 The Ibis Hotel Hull has a superb central location, close to all that the city has to offer. The Hull New Theatre is only 1 mile (1.6 km) away, as is the KC Stadium. Hull Railway Station is just a matter of metres from the hotel. There are 106 en suite rooms, including 6 that have been adapted for guests with limited mobility. The hotel also offers Le Nautique Cafe, a bar offering snacks 24 hours a day, 7 days a week and a 24-hour reception desk. Breakfast is available from 04:00 to 12:00. Public parking is available nearby at an additional cost. In the heart of the city centre, next to Hull railway station and directly linked to the St Stephens shopping centre, the hotel offers well-equipped modern accommodation and free Wi-Fi. Whether you are visiting Hull on business or exploring the region for pleasure, this modern hotel offers both comfort and value, so you can relax, recharge and face the day with a smile. All of the city's major attractions are in walking distance and many of Hull's major companies are also within easy reach, including Smith & Nephew, Kingston Communication and Reckitt Benckiser. All of the comfortable and modern bedrooms have flat-screen TVs with Freeview digital channels and en suite bathrooms with power showers. Free Wi-Fi wireless internet access is available throughout the hotel. The hotel has a licensed bar/lounge area. Private parking is available at an additional cost and the hotel is directly linked to the car park. The 4 air-conditioned meeting rooms offer free Wi-Fi wireless internet access and can accommodate from 2 to 55 people. The Portland Hotel is located next to City Hall within the main business, retail and leisure area of the city. 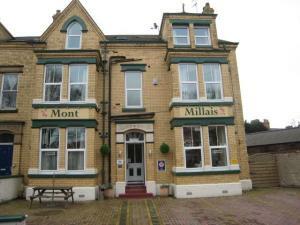 It is the first and only AA 4-star hotel in Hull. Ideal for business guests, The Portland is only metres away from the railway station and within minutes of the M62 and other major trunk roads. It is also only 30 minutes' drive from Humberside Airport. Furthermore, the Portland features the latest Wi-Fi technology to enable you to link to a total communication network wherever you are in the hotel. 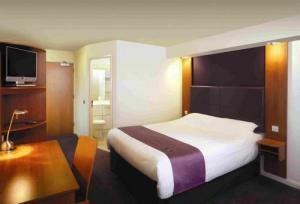 Accommodation rates include complimentary entry to Hull's premier health and fitness centre situated nearby. There is free off-site car parking available for the duration of your stay. Situated on the edge of the historic port and town of Goole, this late 19th century building has undergone extensive refurbishment to offer 8 well-appointed en suite rooms. Goole, the largest inland port in Europe, is an ideal location for touring or business in East Yorkshire. York, Hull, Doncaster, Selby, Thorne, and Sheffield are just a short drive away, while Manchester, Scarborough and the east coast are only a little further. Both the elegant Morning Room and The Newland Suite are available for a variety of events, including special occasions and conferences. The fully qualified and experienced staff will be more than happy to discuss your requirements. With a quiet, peaceful location, looking out over Pearson Park, the hotel offers free parking and comfortable accommodation at great-vale rates, just a mile (1.6 km) from the city centre. 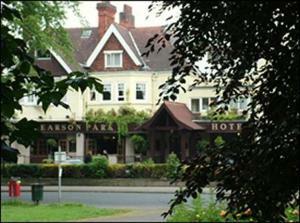 The Pearson Park Hotel consists of 4 Victorian buildings housing 30 individually decorated en suite rooms, all with their own unique charm. Some of the rooms have four-poster beds, some have stunning views across the park and some have both. All of the rooms have a TV and tea/coffee making facilities, including Fairtrade tea, coffee and chocolate. Free wireless internet access is available in all of the rooms. As you gaze across the Victorian park while enjoying a relaxing drink from the bar, it is hard to believe that the hotel is only a mile from the very heart of Hull's city centre. The University and most of the city's major attractions are within easy reach, including The Deep (the city's aquarium) and the KC Stadium. The city's new transport interchange is also close by, as is the new St. Stephen's shopping centre. The bohemian Avenues area of the city, with all of its lively bars and restaurants is also nearby. 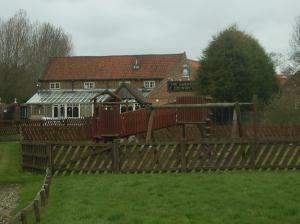 The restaurant also overlooks the beauty of the park and offers quality food, freshly cooked. Free private parking is available on site for guests. 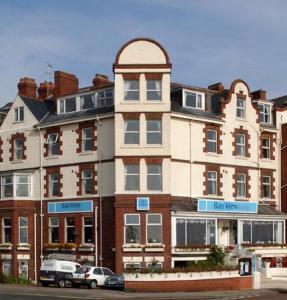 Enjoy the special friendly atmosphere of this well-established and very comfortable, family-run guest accommodation in Bridlington, offering rooms to suite single, double or family occupancy. The non-smoking Victoria House has been inspected by the English Tourist Board and has been awarded 3 stars. A selection of en suite family suites and ground floor rooms are all available, as well as a well-stocked bar (with draught beer and lager), patio area, TV lounge and dining room. As soon as you arrive you can relax, safe in the knowledge that Victoria House will do everything possible to ensure that you have a happy, carefree stay and a wonderful holiday. Free off-street parking and complimentary Wi-Fi internet access are possible. Facilities for disabled guests include ground floor rooms with easy ramp entry for wheelchairs. Set within the grounds of the Country Park Inn, the lodge provides 8 tastefully decorated guestrooms within the tranquil surroundings of the River Humber, in Hessle, on the outskirts of Hull. The Country Park Lodge is a separate annexe to the main building. It has just 8 cottage-style bedrooms on the ground floor, one of which is specially adapted for those with disabilities. As it is separate from the hotel, please note that it does not hold a licence for the serving of drinks. You can enjoy drinks in the main Riverside Bar. 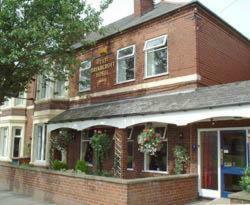 Recently refurbished, the Riverside Bar serves a wide range of home cooked cuisine in comfortable, modern surroundings. Here, you will enjoy superb views of the impressive Humber Bridge and find a tranquil setting to relax with a drink and watch the river activity.